You can see my previous post on the Moon for my telescope setup. 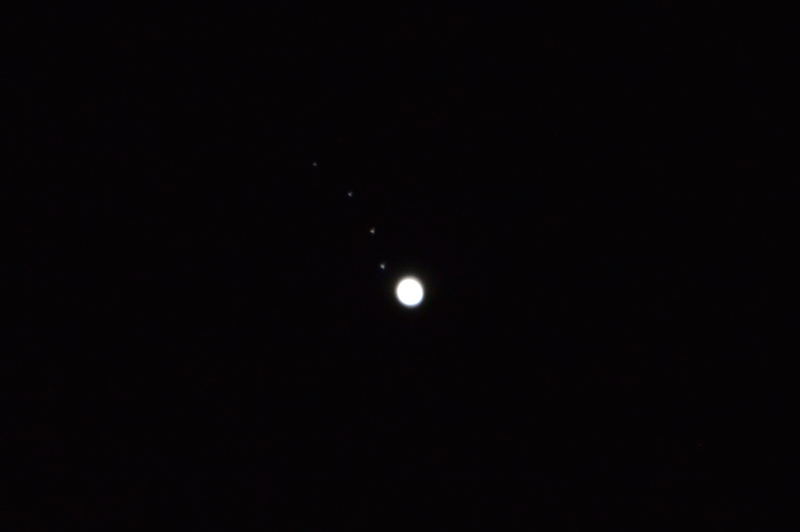 In this post I'll show some photos I took of Jupiter. 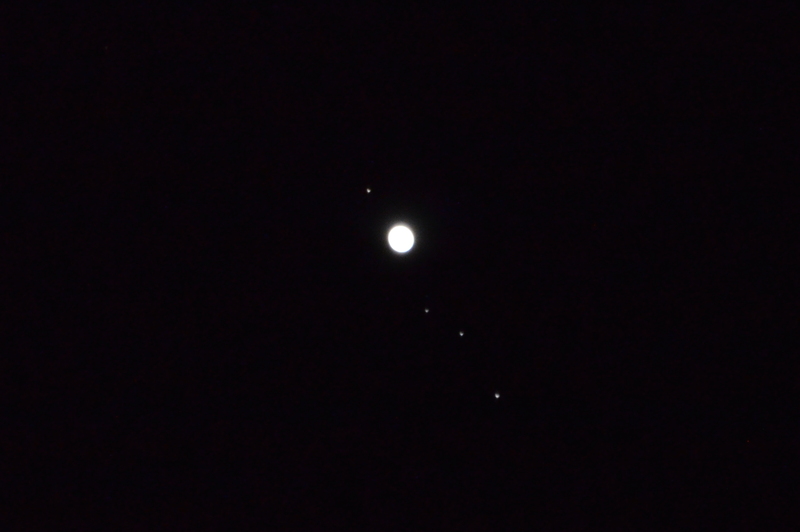 One really cool thing about looking at Jupiter is that you can actually see the four of Jupiter's moons! Also known as the Galilean moons these four moons of Jupiter were first discovered by Galileo Galilei in 1610. They are named after the lovers of Zeus - Io, Europa, Ganymede, and Callisto. The Galilean moons rotate much faster around Jupiter than the Moon rotates around the Earth. The inner most Io has the fatest revolution of 1.7 days, with Europa's 3.5 days, Ganymede's 7.5 days and Callisto's 16.7 days. You can actually see Jupiter with the naked eye in the sky. You just won't be able to see the moons or any structure on Jupiter's surface. Jupiter would appear to be a very bright star, but a planet does not twinkle like a star does, and therefore you can figure out whether what you are looking at is a planet like Jupiter or a star. Unfortunately I was not able to capture the colors through my camera (I could actually see fuller colors with with the naked eye through the telescope), but you can still clearly make out the bands of this gas giant. It is truely amazing to see Jupiter through the telescope.